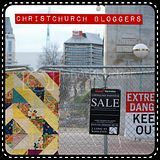 Yeah - so I don't know if this is fascinating or plain banal (forgive me if its the latter) - but I loved that Clare did a little series of posts the other week on things we didn't know about her. So here are a bunch of things about me. 1. I'm fascinated by letterboxes. I catalog them in my head. I know where all the cools ones are in my neighbourhood. They are to houses what hats are to people - you can tell a lot about a household by its letterbox. 2. As a child of five I, along with a group of my peers sang "I'm a little teapot" with actions for Prince Andrew when he visited New Zealand. 3. I'm ambidextrous, sort of - I was made to write with my right hand at school, because a teacher convince Mum if I didn't I would grow up mentally disabled or something?! I still cut (patterns and fabric), draw and press/iron with my both hands. 4. When I was little I wanted to be either a Fashion Designer (win!) or an Archaeologist specialising in Egyptology. I still haven't been to Egypt and I feel like I better hurry up as all the interesting exhibits are closing as visitors breathing on the frescos are degrading them. 6. When seasoning any cooking I always throw a pinch of salt over my left shoulder. This is one of a number of catholic superstitions inherited from my Mother which I can't seem to shake - its just feels wrong if I don't do it. 7. I have been to 22 schools in my life - that includes primary, secondary and tertiary. I've always been the new girl, which possibly explains some of my awkwardness when you met me in the real world. 8. I'm writing a non fiction book. Its not going very fast - you may or may not see it in the next decade! 9. I don't have any tattoos, but I want one, a classy one - perhaps for my 40th birthday. The reasons I want to mark my skin are intensely personal and I would be doing it for myself, rather than to 'fit into a tribe'. 10. I was bought up in a very Christian family. I went my own way in my teens and twenties, but have returned to renewing my faith and this has given me so much strength to deal with the challenges we've faced in the last 2-3 years in particular. So there are 10 things you probably didn't know about me. Now I challenge you - what are you're 10 (or more or less) things? Be sure to leave me a link in the comments. Oh go on Cat!! I'm sure you have hidden depths! So interesting!! I also like letterboxes, and if I spill salt I throw it over my shoulder, I was raised semi-catholic (have done my first communion), I WANTED TO BE AN ARCHEOLOGIST!, I have not been to Egypt, and I have no tattoos! I am going to write 10 things about me...I doubt they will be exciting! Does it count that you not only do you have a good friend who studied archaeology and went on to work in the field for a few years but that she is married to an archaeologist with a degree in Egyptian archaeology?! Go on, ask him to write your name in hieroglyphs! Egypt is cool to visit! as is Jordan... you should add Petra to your list if its not there already, its A-MAZ-ING!!! Thanks for sharing , it's fascinating to see inside people a little. Ooh I get the letterbox thing!!! I thought me going to 9 different schools was a lot but you take the cake Nin. I used to get together each Thursday with a small group of friends. At one stage we took it in turns to take a whole morning(each)sharing our entire life story. No interruptions were allowed only questions later. It was such a revelation and needless to say we are all still close friends. You have done something similar with this lovely post. Thanks and hugs. i love your 10 things Nin. 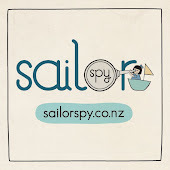 i also toyed with the idea of becoming an archeologists, still throw salt over my left shoulder and as for letterboxes..http://www.blackbirdhasspoken.com/2011/09/things-i-love-about-nz-1.html. 22 schools. oh my goodness, thats more than one per school year?!! !